Oh the Places You’ll Go this School Year! This is wishing you a fabulous school year! And for everyone trying to navigate the CCSS or just do new and adventurous things be of good courage and teach like you have never taught before! P.S.S. 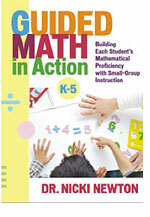 This is a great book to read to your students and make connections about perseverance in math! CCSS I CAN STATEMENTS FREE!